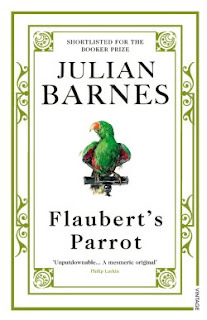 Flaubert's Parrot is a novel by Julian Barnes that was shortlisted for the Booker Prize in 1984 and won the Geoffrey Faber Memorial Prize the following year. 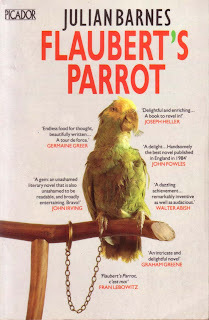 The novel recites amateur Flaubert expert Geoffrey Braithwaite's musings on his subject's life, and his own, as he tracks a stuffed parrot that once inspired the great author. 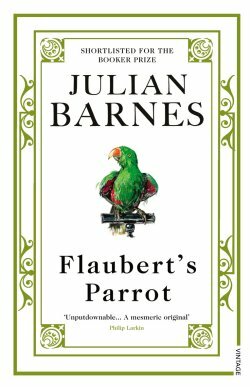 Plot summary: The novel follows Geoffrey Braithwaite, a widowed, retired English doctor, visiting France and the Flaubert landmarks therein. 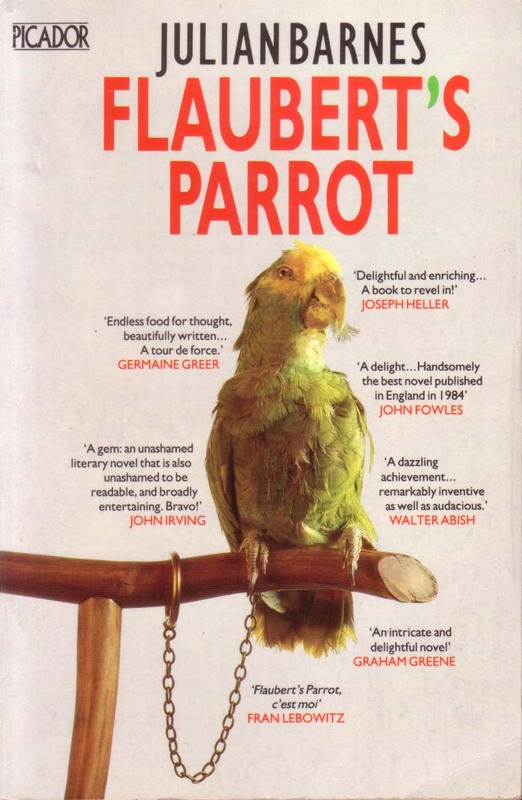 While visiting various sites related to Flaubert, Geoffrey encounters two incidences of museums claiming to display the stuffed parrot which sat atop Flaubert's writing desk for a brief period while he wrote Un coeur simple. 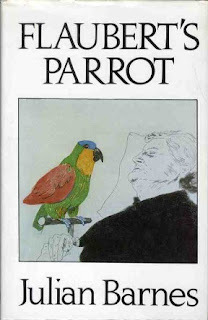 While trying to differentiate which is authentic Geoffrey ultimately learns that (n)either could be genuine, and Flaubert's parrot could be any one of fifty ("Une cinquantaine de perroquets! ", p. 187) that had been held in the collection of the municipal museum.